You are at:Home»Herbs»Bacopa monniera Linn. Latin name : Bacopa monniera Linn. Description : Bacopa is a classic brain and nervine tonic included in the “Brahmi” category of herbs, which are those that benefit both the mind and spirit and improve the intellect and consciousness. It should not be confused with one of Centella asiatica’s common name (also called Brahmi); it is a different plant. It has adaptogenic, antianxiety, antiasthmatic, antispasmodic, aphrodisiac, astringent, bitter, diuretic, emetic, nervine tonic and sedative properties. Bacopa assists in heightening mental acuity and supports the physiological processes involved in relaxation. Bacopa is considered the main rejuvenating herb for nerve and brain cells and, therefore, has played a very important role in Ayurvedic therapies for the treatment of cognitive disorders of aging. Countless studies have shown Brahmi helps improve protein activity and protein synthesis, especially in brain cells, which can increase intelligence, longevity and memory and decrease senility and aging. It has tranquillising effects but, unlike synthetic sedatives which often have side effects of dulling the mind, it actually improves mental clarity. It is also used as an antianxiety agent, to calm restlessness in children, and to cure several mental disorders. It is most commonly used as a nervine tonic that enhances learning and academic performance, improves mental alertness, and sharpens short-term and long-term memory. It has also been used in India and Pakistan as a cardiac tonic, digestive aid, and to improve respiratory function in cases of bronchoconstriction. Research on anxiety, epilepsy, bronchitis and asthma, irritable bowel syndrome (IBS), and gastric ulcers also supports the Ayurvedic uses of Bacopa. Bacopa’s antioxidant properties may offer protection from free radical damage in cardiovascular disease and certain types of cancer. 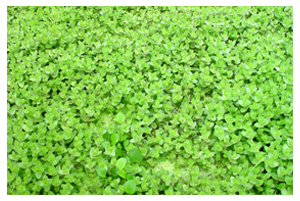 Bacopa is also useful for epilepsy. Recommended Dosage : 3 to 5 g powder of dried whole plant. Contraindication : This herb is contraindicated during pregnancy or lactation. Those who are taking prescription blood thinners, Coumadin, etc., should also not use this herb.